DALLAS, Oct. 17, 2017 /PRNewswire/ — Changes Republicans have made to their tax reform proposal take away some of the economic lift that was in the earlier House Republican proposal; but most of the benefits remain, according to a new study by Boston University economist Laurence Kotlikoff and his colleagues. Kotlikoff and his colleagues are using a highly sophisticated model that includes all the world’s economies, collected into 17 major regions, and tracks international capital flows in response to corporate taxation all over the globe. 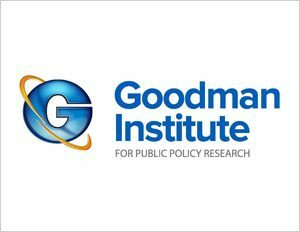 Led by Dr. John C. Goodman, the Goodman Institute for Public Policy Research (GIPPR) is a nonprofit, nonpartisan public policy research organization that promotes private alternatives to government regulation and control, solving problems by relying on the strength of the competitive, entrepreneurial private sector. Topics include reforms in health care, taxes, and entitlements. Visit www.goodmaninstitute.org.